Today marks the day that the nations people will vote in the European Parliament Elections and this vote will determine what path the EU will take over the course of the next 5 years. But what is the European Parliament and how much does it actually affect the lives of us here in the UK? 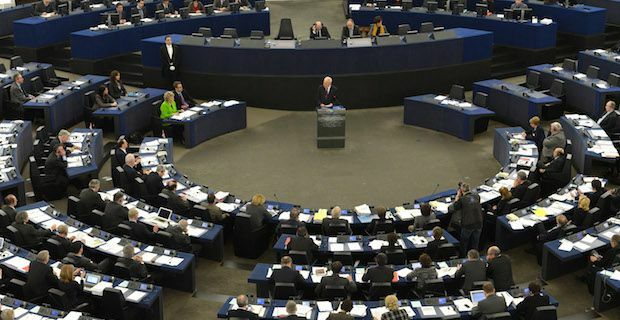 The European Parliament is where Members of European Parliament(MEPs) elected from all EU member states meet to discuss and vote on issues affecting European countries. This parliament is responsible for the voting in or out of laws that apply to all EU member states. It is here that financial decisions are made on the future of the EU as to which countries receive the most support. The European Parliament also plays a big role in decisions surrounding global warming as certain environmental standards are set here that each EU country has to follow. This particular election could be the most significant one yet for the UK as the UK Independence Party(UKIP) are strongly favoured to do very well in the polls. UKIP are fiercely anti-Europe and are looking for the UK to withdraw from the EU altogether. They want the UK to forge ahead on its own without any support as they believe that we are being severely hampered by having to conform to EU wide laws and practices. Nigel Farage put down a big marker for the UKIP party in a televised debate early last month as he out-argued Lib Dem leader Nick Clegg live on TV screens in millions of homes around the country. Only the results of todays polls will tell if that debate was as decisive as was being suggested at the time.